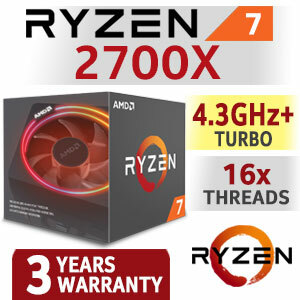 Turning the CPU market on its head, featuring the latest processors from AMD – the RYZEN 7 series is now available at Evetech! Boasting 8 physical cores and 16 threads, the Ryzen 7 CPUs will handle even the most intensive of tasks, without breaking a sweat. AMD RYZEN 7 Processors features the perfect trifecta of 3 traits that should attract anyone even remotely affected by the unfair surge in processor prices & performance over the last few years. Just like AMD, Evetech firmly believes that top-notch performance has become a necessity, not a luxury – and prices should reflect this change in the market. 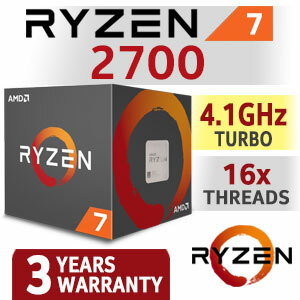 Accordingly, the RYZEN 7 series of CPUs – 1800X, 1700X, and 1700 are priced at astounding prices. As if that wasn’t convincing enough, ALL the processors in the RYZEN lineup feature unlocked cores for overclockers who love testing the limits of their hardware. Now avoid shelling out a small fortune to purchase a processor that can be overclocked with ease, with one of the RYZEN 7 series CPUs. Oh another juicy fact – the ‘X’ series processors in the RYZEN series, can overclock themselves automatically! How about that? Choose one of the processors from our AMD RYZEN 7 lineup and experience premium computing-performance, at reasonable prices!